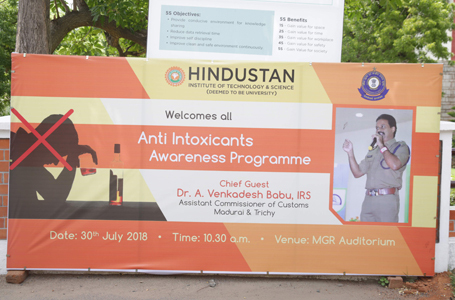 The Anti-intoxicants awareness programme was conducted on 30th July 2018. 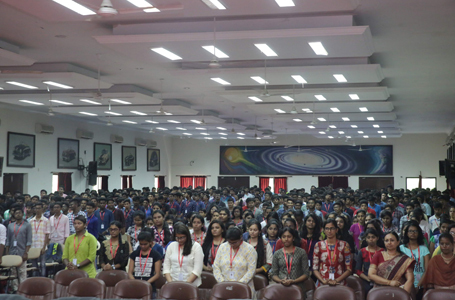 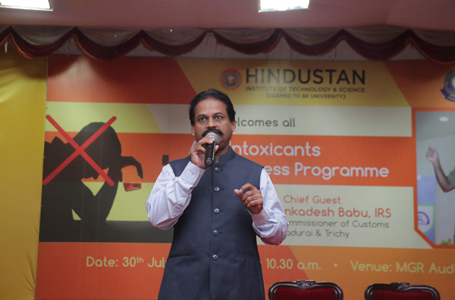 Dr. T. Manvel Raj, Dean Student Affairs, sensitized the ruinous effect of drug addiction. 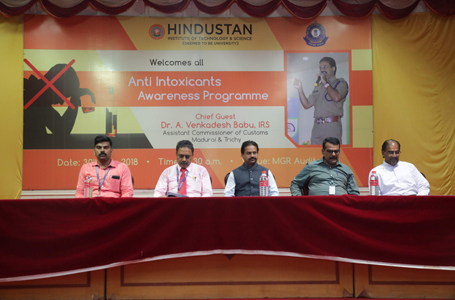 Dr. A. Venkadesh Babu, IRS, Assistant Commissioner of Customs, Madurai & Trichy, the Chief Guest of the programme, explained the ill effects of narcotic drugs on youth, the setting up of Anti-Intoxication policies in the educational institutions and the legal aspect of it. 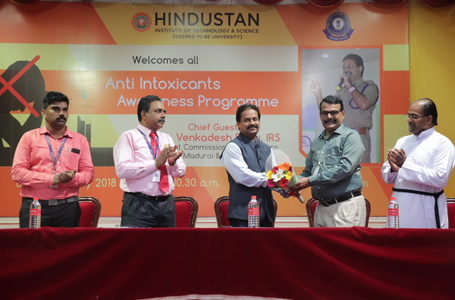 He also suggested the need to form a joint effort between the Anti-intoxication and Anti-Ragging Committee & Squads to prevent drug related menaces on the campus.